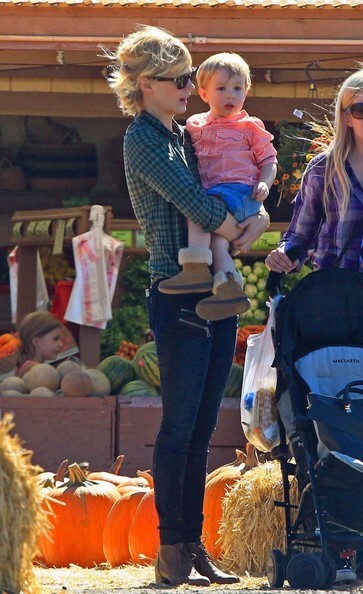 January Jones was having fun with her kiddie checking out Pumpkins in Los Angeles.She wore Julien Jarmoune Black Orchid jeggings – clearly very comfortable for all the Pumpkin and baby chasing LOL! 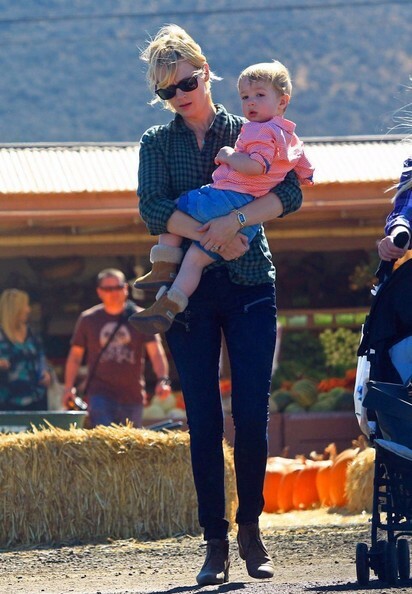 BTW, just curious, do you like the taste of Pumpkins? I so do not, I suppose you must “learn” to like this very strong taste, no?